Agra is a city located in the northern state of Uttar Pradesh, India on the banks of the Yamuna River. It has its existence from the epic Mahabharata when it was called Agrabana. The famous 2nd century geographer, Ptolemy marked it on his map of the world as Agra. From 1526 to 1658 it achieved fame as the capital of the Mughal emperors and remains a major tourist destination because of its many splendid Mughal-era buildings, most notably the Taj Mahal, Agra Fort and Fatehpur Sikri, all three of which are UNESCO World Heritage Sites. Agra is the home of the Taj Mahal, the incomparable monument to love. 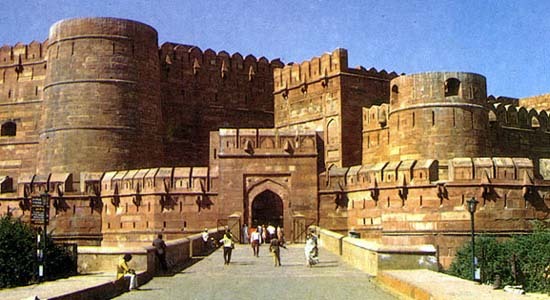 Agra also boasts of excellent forts and fortresses built during the glory days of the Mughal empire. A visit to the Taj Mahal is one of the experiences of a lifetime; why not make it a point to visit Agra the next time you plan a holiday in India.